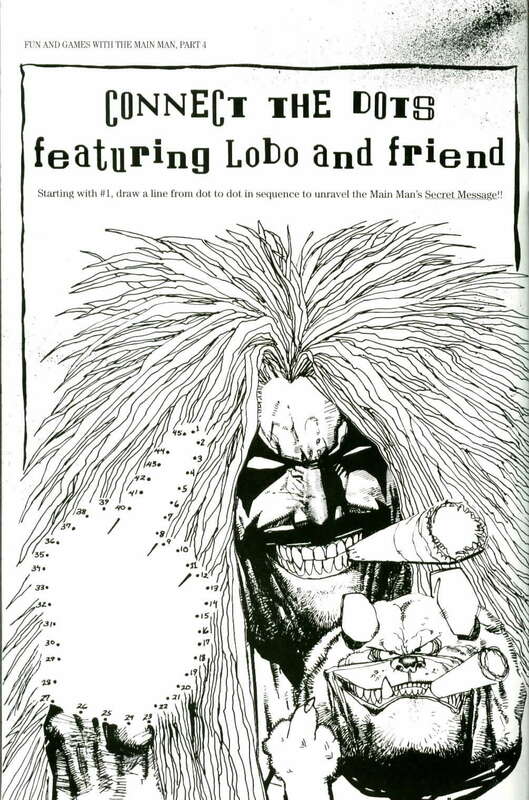 We need some good old fashioned fun, and what is more fun than the Main Man, Lobo? 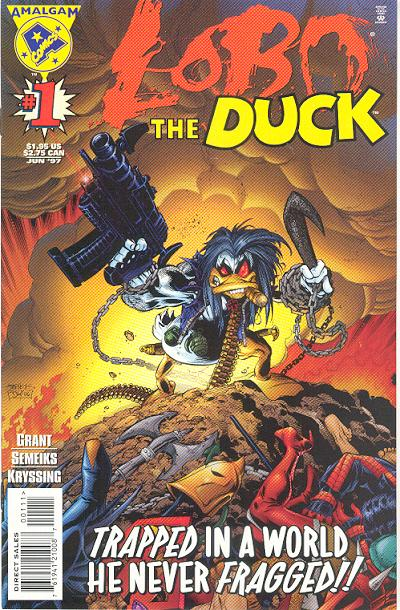 I'll post here some of his achievements, whenever I'm reading his comics. 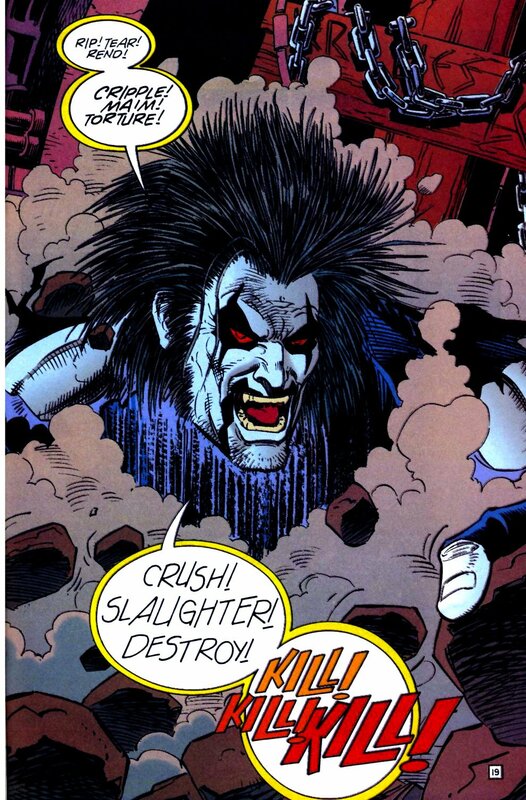 Until then, can you find the Main Man's secret message? 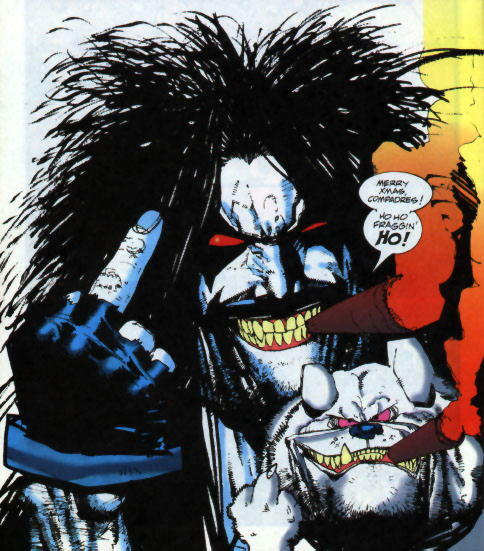 Dear obvious Lobo fan: Would you happen to have or know the issue with the pages where small rat things are talking about foreskin then there's a 2 page spread with all characters talking in rhyme? 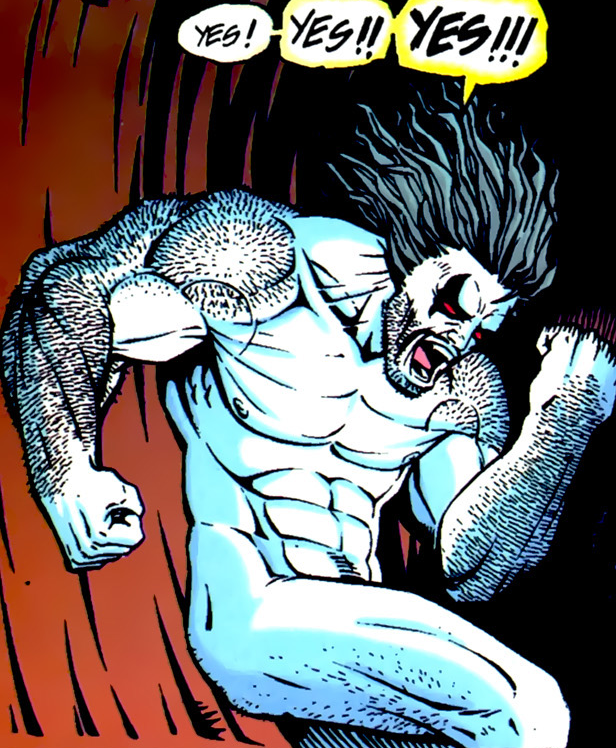 I'm not sure about the 2 page spread, but the foreskin thing was in Lobo Unbound, which also has Ambush Bug, an Archie recap with a girl who breaks Lobo (by making him eat his dolphins), a planet equivalent of the middle east complete with the entire populace being suicide bombers, and Lobo scoring with a Giger Xenomorph off-panel.